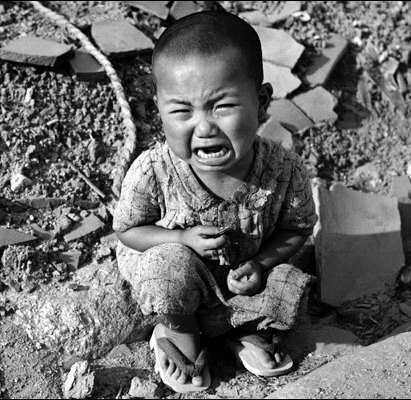 Today is the 70th anniversary of the first ever use of an atomic weapon against humans – civilians at that. The US dropped the bomb on the Japanese city of Hiroshima on August 6, 1945. Two days later they dropped another atomic bomb on Nagasaki. There will be a lot of information circulating about this incident and its military and political significance. However, the Russian Historical Society has published an historical document which could be of interest. It is the just declassified report from Soviet ambassador to Japan on the aftermath of the bombings of Hiroshima and Nagasaki. It is from the Archive of Foreign Policy of Russia. The report was recorded a month after the attacks. Some areas were not affected by the rays, suggesting that the energy was expelled unequally by bursts. Some people who were close to the injured did not receive any burns. This pertains to sections significantly removed from the impact. The driver said, some children who were up on the trees [playing?] survived, but those on the ground died.Most people in Hiroshima said the bomb was dropped on a parachute and detonated 500-600 feet above the ground.